The primary goal of cRARk is to recover (crack) your forgotten password on RAR archives. 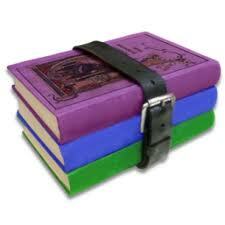 Rar/WinRar versions 2.x-3.x-4.x up to 4.0 are supported. This is command-line utility for Win32, Linux, Mac OS. Starting from version 3.0, RAR has been using a strong AES algorithm, which also doesn't allow any attacks more effective than the brute force. Besides, the key derivation function uses more than 70000 SHA-1 transformations and brute force rate on modern CPU is very low, only several hundreds of passwords per second. This carries inference that RAR 3.x password encryption is one of the strongest between popular encryption systems in the context of brute force rate. Absolutely free, but it is not open source. For this tutorial I'll use the mac os x version but I think there aren't any major differences between Mac, Win or Linux versions. The .def fles (yellow highlighted) are the default password files definitions for the specified language. crackme.def is a definition file prepared to crack the crark archive. cRARk.html is a little but useful manual. the download will not unrar, keeps failing, asking for a password. One of the files in the rar archive is crypted, so you must extract only the not encrypted files. Don’t try to extract the whole file at once. i dl. extracted. when prompted for password, i just left it blank. it unzipped. now i feel stupid. I know its a terminal app. If found the instructions (html file in the zip) for a definition file i need to create if i have an idea about hte password. I dont unfortunately. i dont know what file to run in terminal. or how to run it. — if the password is aaarto, it's not working… please help!